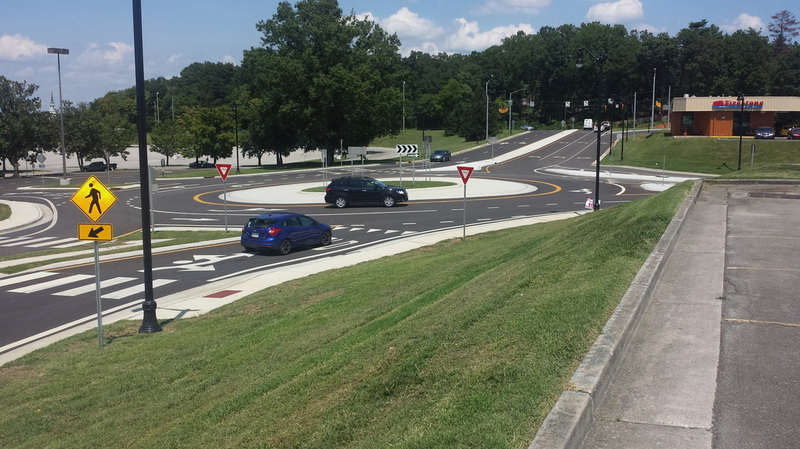 Foothills Mall Drive before and after completion of the roundabout. The project began in August of 2014 and was finished in May of 2015. Engineering permits are required for the following activity. If unsure whether a permit is needed for planned activity, call us at (865) 273-3500. An access permit is required before constructing, building or cutting an access in City right-of-way. The permit is obtained from the City Engineering Department or can be downloaded from the links above. A Right-of-Way excavation permit will be required for any person, firm, corporation, public or private utility, association, or others to make any cut or excavation in any street, curb, alley, or public right-of-way in the city limits. Any land disturbing activity must be permitted by the City's Engineering Department prior to performing work. Required for any person, firm, corporation, public or private utility, association, or others to temporarily block any portion of a sidewalk for any purpose. Speed bumps are only considered for neighborhoods after several steps have been taken to ensure the need. 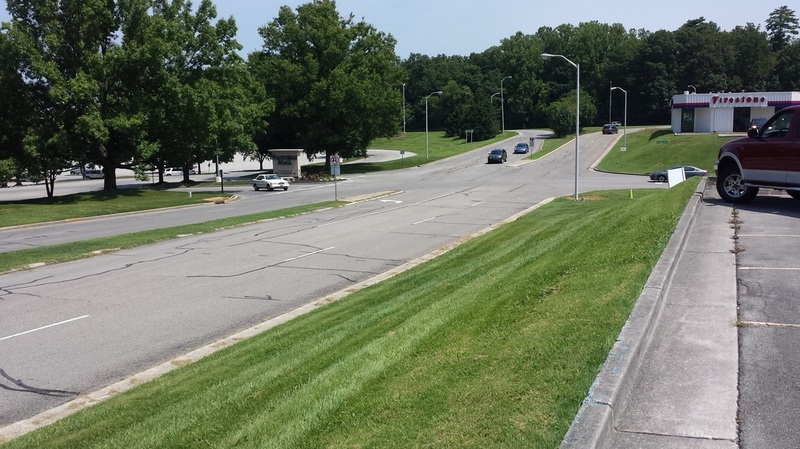 Before traffic calming devices (like speed bumps) can be installed, first the site must be studied to evaluate through traffic conditions, speed issues, and accident reports. The Engineering and Public Works department will perform this study. Next, if an issue is discovered, police will observe and selectively enforce traffic laws. If the issue still exists, speed bumps will be considered. By City Municipal Code, the citywide speed limit is 30 m.p.h. for local and minor streets that are not signed or posted. Speed limits for City "collector streets" (like Sandy Springs Road) and "arterial streets" (like Lamar Alexander Parkway) are evaluated and established by the Engineering and Public Works Department and approved by City Council through ordinance. Streets which are classified as state routes such as Broadway Avenue (SR33) and Sevierville Road (SR35) are not typically resurfaced using the same sources of funds. Resurfacing state routes is typically done by TDOT. The City is on a three year plan for resurfacing streets. Streets are evaluated based on several criteria and assigned an overall grade. Budget, location, and traffic patterns - along with grade - are considered when determining street resurfacing priority. What are the black cords/ tubes used on streets/ roads? For the purpose of collecting statistical information on traffic speed and volume, the engineering department uses speed sensing equipment, such as pneumatic tubes on roads, as well as radar and other methods.